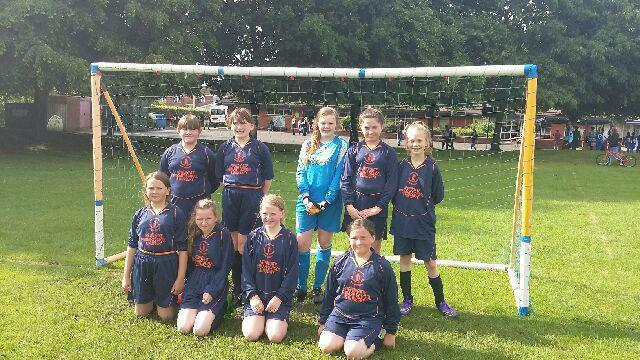 This week saw Newdigate take part in the BPSSA Girls Football tournament at Race Leys Junior School. Our team only started training together a couple of weeks ago with Miss Wright and Mr Vasey, who had the very tough job of choosing just 10 girls for the tournament team. The girls lost their first game 2 - 0 to the eventual winners, Race Leys Panthers. They then beat Wheelwright Lane and St Michael's both 1-0. They came second in their group so played the runners up from the other group who were Race Leys Tigers and won that 1-0 too. So they won the runner-up playoff meaning they came a fabulous 3rd overall! An absolutely brilliant result for the girls. They all showed a fantastic attitude despite the poor weather and all the parents who came to watch were incredibly supportive too. We are all very proud of you girls!